Healthy or not, Parise willed his way back into the lineup Tuesday night, scoring two goals. Out since March 22 with a lower-body injury, Parise's return ultimately wasn't enough, as the Colorado Avalanche crushed the Wild's playoff hopes with a win over the Edmonton Oilers. 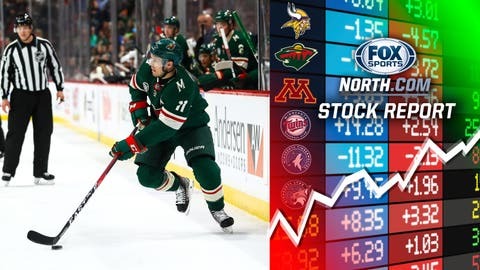 It's a tough break for Parise, who posted some of the best numbers of his Wild career (28 goals, 33 assists and 61 points with two games to go) this season, but will miss the playoffs for the first time since signing with Minnesota. 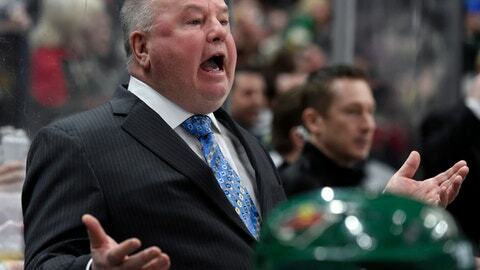 Boudreau teams do not, as a rule, miss the playoffs. At least, that used to be the rule. The longtime head coach had never missed the playoffs after coaching for a full season, a streak that spans stints with the Wild, Anaheim Ducks and Washington Capitals. He'll be watching the first round for the first time since 2012, when he was fired by the Capitals just 22 games into the season, then hired by the Ducks a few days later. The Legend of La Tortuga continues. After scoring two with a pair of RBI in his first game of the season, Astudillo was back at it Tuesday, going 1-for-2 at the plate. In his first four games with the Twins, "Boomstick" did what he's been doing for the batter part of 15 major-league seasons. 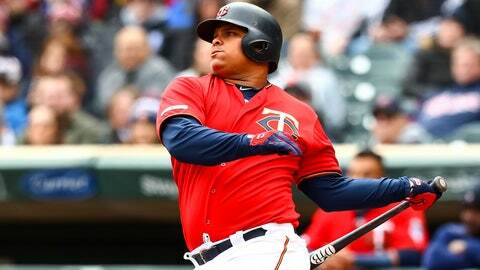 He hit a double and his first home run of the season to power the Twins to a 9-3 win over the Cleveland Indians on Sunday. 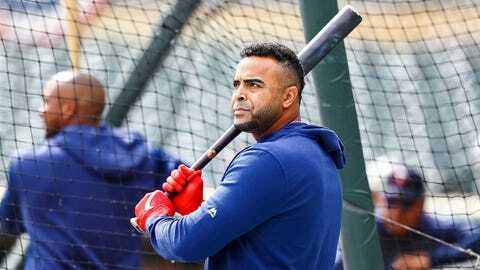 Cruz was back at it Tuesday, hitting a double, then driving in the go-ahead run with a single in the top of the 10th to lift the Twins to a 5-4 win over the Kansas City Royals. Nominated for the Spencer Penrose Award, Sandelin has now led UMD to the Frozen Four in three consecutive seasons. The defending national champions, Sandelin's Bulldogs are one of two No. 1 seeds to make it out of the regional round following first-round losses for Minnesota State and St. Cloud State. UMD is 19-6 in the NCAA tournament under Sandelin, who has the best tourney winning percentage of any active Division I head coach. A few days after falling to American International in one of the biggest upsets in NCAA tournament history, the news just keeps getting worse for the Huskies. Already set to lose its top three scorers -- seniors Patrick Newell, Robby Jackson and Jimmy Schuldt -- to graduation, SCSU is also losing star junior Ryan Poehling, who signed with the Montreal Canadiens, and sophomore Blake Lizotte, who signed with the Los Angeles Kings. Of SCSU's top-six scorers, only junior defenseman Jack Ahcan is poised to return next season.